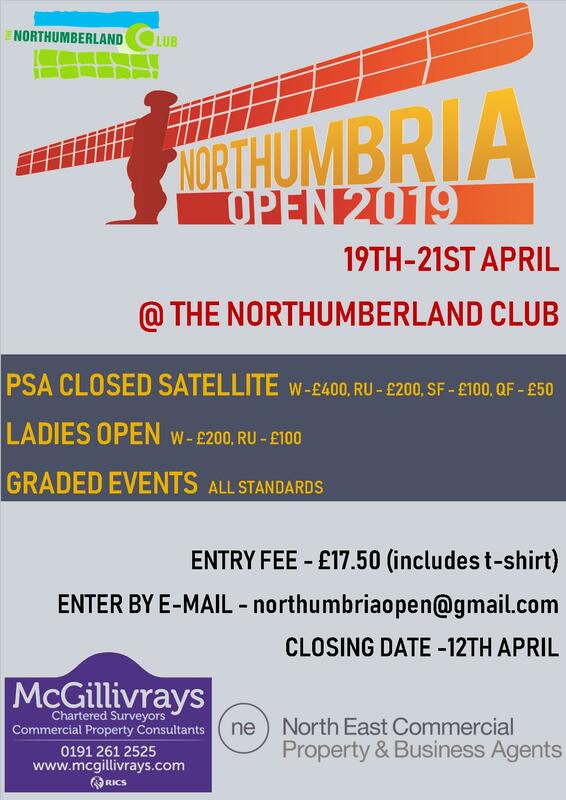 Over the weekend 4-6th October 2013, The Northumberland Club, and Tynemouth Squash Club will host an ESR Silver Event – The Northumbria Junior Open 2013. 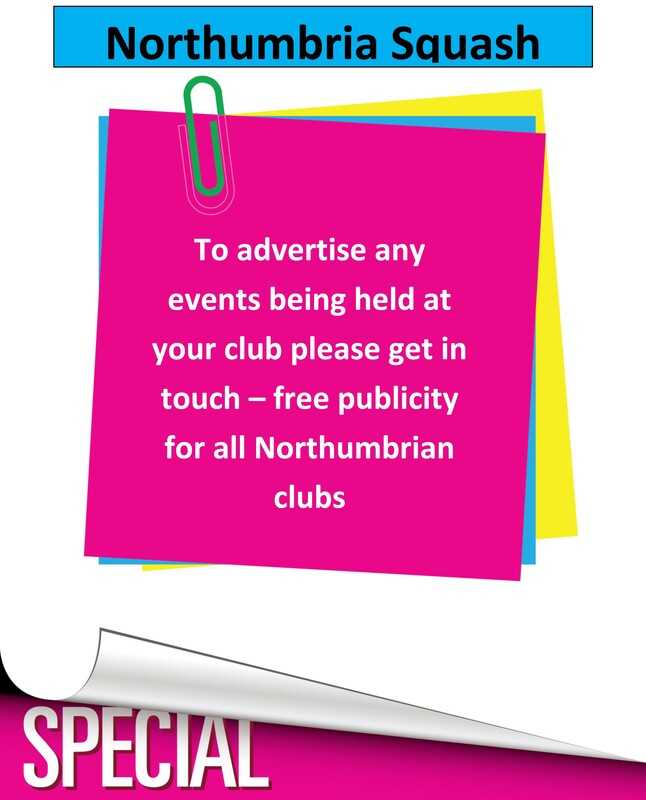 Boys & Girls U13 & u15 events will be held at the Northumberland Club. Boys & Girls U17 & U19 events will be held at Tynemouth Squash Club. Please take a careful look at the draw, and ensure you arrive on time for your matches, which will help with the smooth running of this event. Enjoy!